Check up the T4 lowering thread on brickyard ! 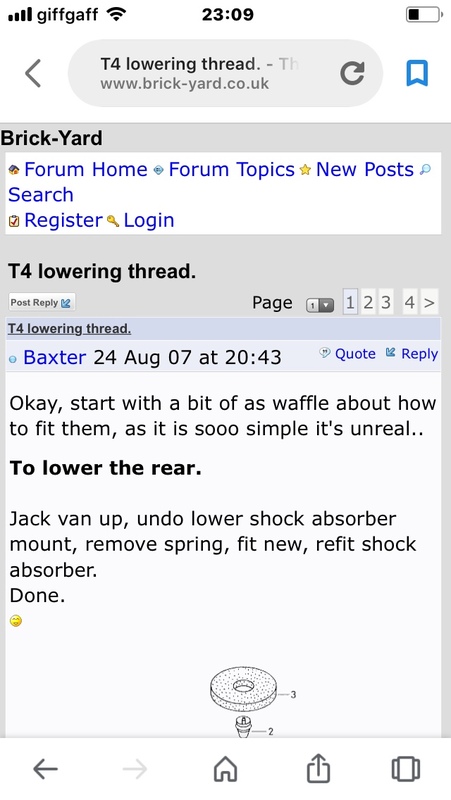 I’m sure this was on the other forum but worth a loo if you’re changing wheels or ride hight ! Tyres cost money and scrubbing or wearing only one side is a brassard so have a look !! Thanks was just looking at this and found it quite interesting ! And also thought as I’ve read peoples posts about tyres wear it might be worth a look ! Sorry but my wife had tyres changed twice for cambered wheels first garage just changed but didn’t advise why 4 months later same again ! They sorted it and informed here why ! They will get more costume garage 1 won’t!! !